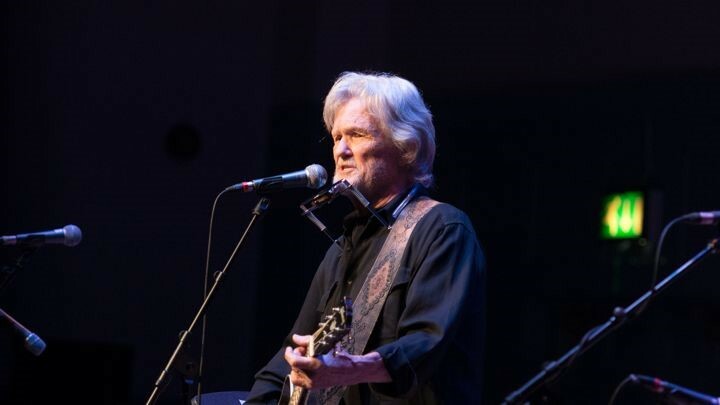 Songwriting icon, actor and social activist Kris Kristofferson will be celebrated an all-star concert event on Wednesday, March 16th, at Nashville’s Bridgestone Arena. Produced by Blackbird Presents, The Life & Songs of Kris Kristofferson will include performances from Dierks Bentley, Ryan Bingham, Rosanne Cash, Eric Church, Emmylou Harris, Jamey Johnson, Toby Keith, Hank Williams, Jr., MARTINA MCBRIDE, JENNIFER NETTLES, LEE ANN WOMACK, JACK INGRAM, Lady Antebellum, Willie Nelson, Darius Rucker and Trisha Yearwood. Kristofferson, who will be performing, will be joined by additional artists who will be announced in the coming weeks at Grammy Award-winning producer Don Was will serve as music director and lead the band backing the performers for The Life & Songs of Kris Kristofferson, which will be filmed and recorded for future broadcast and official release. Televised air date to be announced. Talent Executive: David Paley, Transpo Logistics Specialist: Billy Amato for Bermuda Limousine International. Bermuda Limousine International is the official transportation company for Blackbird Presents and this event.